It’s a good time to save tax and be prepared for the next tax season. Find here the list of the best performing tax saving funds. Oh, it's March again! How much tax did you save this year? Have you proudly asked this question to any of your friends or colleagues? If no, then we guess you are still unaware of the magic of ELSS. 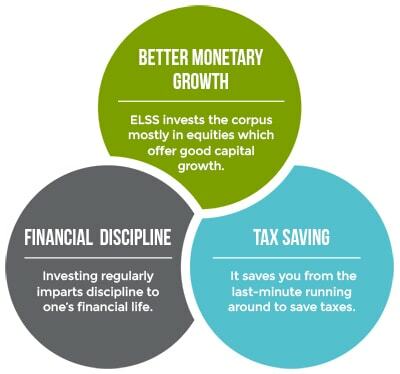 To be precise, ELSS stands for Equity Linked Savings Scheme, which is also referred as a tax saving mutual fund. It qualifies for tax deductions of up to Rs 1.5 lakh under Section 80C of the Income Tax Act of India, 1961. Being a perfect instrument for wealth creation too, it has been successful in delivering 15-18% returns in the long term. On deeply examining all the 40 ELSS funds, the ones that we have picked have the AUM of Rs 200-250 crore, and above. And, they have at least spent 5 years in the market. The fund size is an important factor which depicts the handling capacity of the fund manager. Moreover, it offers a chance to the fund manager to invest in good holdings. Historical performance is yet another important factor to calculate funds’ past track record. In this part, funds who have consistently beaten their benchmark and category are selected. To calculate their performance, we’ve used rolling returns and compared funds on the basis of their upside and downside ratio. Here, rolling returns describes returns in different periods, whereas upside and downside ratio represents the performance in positive and negative market cycle. If the upside ratio is greater than 100, it depicts that the fund has outperformed its benchmark. Similarly, if the downside ratio is less than 100, it shows that the fund has gone less negative as compared to its benchmark. These factors depict the risk management capabilities of the fund. The future returns of any fund greatly depend on its investment strategy and future planning. Thus, it becomes crucial to check parameters such as stock research techniques, funds’ allocation, diversification, CRISIL rating, etc. Considering the filtration case, all the listed funds have markets existence greater than five years and AUM or investment size greater than Rs 2000 crore approximately. It should be noted that Axis Long Term Equity Fund and Reliance Tax Saver Fund are two of the funds which have the maximum assets under their watch. It’s time we talk about the selected funds’ portfolio. Till March 31, 2018, almost every fund has equity allocation greater than 95%. However, the market capitalization is different in all the cases. As Reliance Tax Saver Fund and Aditya Birla Sun Life Tax Relief 96 Fund are more inclined towards small, mid, and micro-companies. This shows that the funds are a bit aggressive which make them ideal for investors who can stomach high risk. Here, the L&T Tax Advantage Fund is the one with diversified investment. And, finally, the investment of Axis Long Term Equity Fund and DSP BlackRock Tax Saver Fund is more in giant and large-cap companies, which make them suitable for risk-averse investors. Talking about specific sector allocation, almost all funds have the highest allocation in banking and finance sector, except for Aditya Birla Sun Life Tax Relief 96 Fund which is the only one with highest allocation in pharma sector and this can be an excellent value-based investment strategy. Henceforth, it can be concluded that among these recommendations, Reliance Tax Saver Fund and Aditya Birla Sun Life Tax Relief 96 Fund are both aggressive nature funds who have the potential to deliver high returns taking high risks. DSP BlackRock Tax Saver Fund is a consistent performer who provided stable returns, whereas Axis Long Term Equity Fund is more of a defensive fund whose risk-to-reward ratio is quite good. Lastly, there is L&T Tax Advantage Fund which is an all-time performing fund having the potential to deliver moderate to high returns while being moderately risky. We hope now you can pick the best one for yourself considering your objective. In case of any query, connect with our experts at MySIPonline. We will be happy to serve you!